Do Food Pantry Environments Encourage Healthy Food Choices? They say there’s an app for everything, even for agriculture! University of Wisconsin – Madison College of Agricultural and Life Sciences, the School of Veterinary Medicine, and the Division of Extensions are seeking to prove this point by developing apps to record and process data in both the barn and on the tractor. Their apps “streamline the acquisition and processing of data [and] help make diagnoses and decisions on the fly,” while turning the promise of “digital agriculture” into reality. 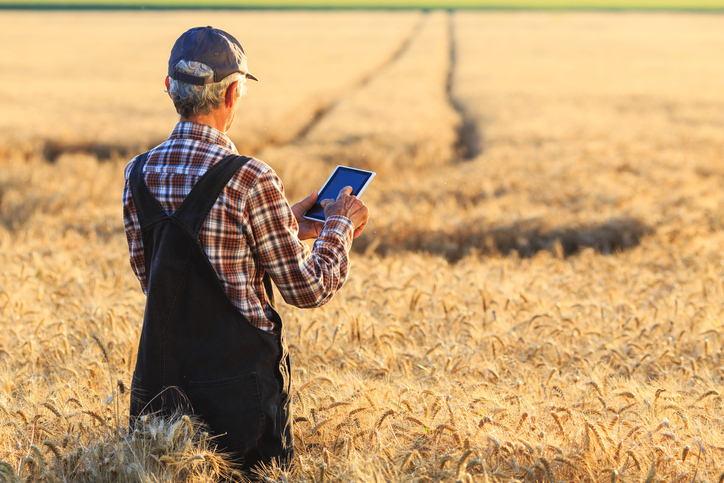 Through the development of these apps, the Wisconsin program continues their efforts to propagate the latest technologies to the farming and agriculture community. The efforts of extension programs such as this are invaluable in helping to provide farms access to digital agriculture and improving both productivity and quality-of-life for the nation’s farmers. Sporecaster: used to control white mold in soybeans. IPM Toolkit: to help apply reduced-input practices of integrated pest management (IPM). Silage Snap: uses a phone’s camera to gauge whether harvesting or processing machinery is cracking corn enough for maximum feeding efficiency. Manure Tracker: used to record manure applications to particular fields. Manure/Legume Credits: calculates the fertilizer value of manure and legume crops. Dairyland Initiative: used to track dairy health and productivity. If you want to learn more about these apps, read the full original article here.